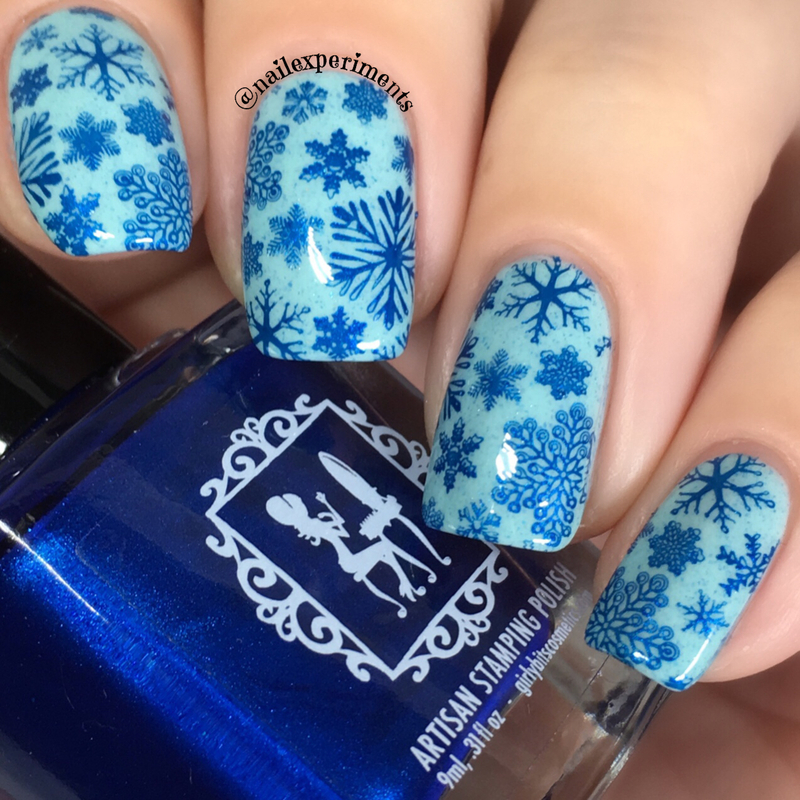 Nail Experiments: Winter Snowflake Nail Art Featuring Girly Bits Products! Winter Snowflake Nail Art Featuring Girly Bits Products! 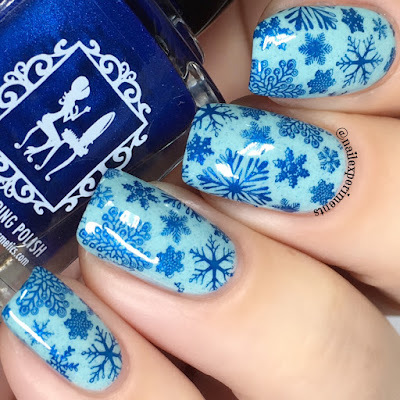 The Winter season is still upon us, so why not create a fun snowflake themed nail art look? Over an extended period of time, I've received several Girly Bits products to test out and review. Today I'm putting a few of those products together to create a snowflake themed nail art look! For the base nail polish, I used Girly Bits - Bleu de tes Yeux. This particular nail polish has been retired and is no longer available. Bleu de tes Yeux is described as a sky blue crelly with blue shimmer and platinum silver micro flakes. I love the nail polish all on it's own, but I wanted to kick things up a notch with some stamping! The stamping polish I used was, Girly Bits - Sapphire. An opaque sapphire metallic blue. I've been playing around with the Girly Bits stamping polishes over the last while, and have been really enjoying them! I feel they are very underrated and don't get as much love as they deserve! 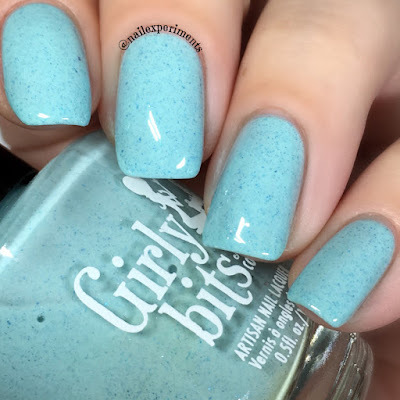 I'll be showcasing more of the Girly Bits stamping polishes on my blog, and YouTube channel in the near future - keep your eyes peeled! 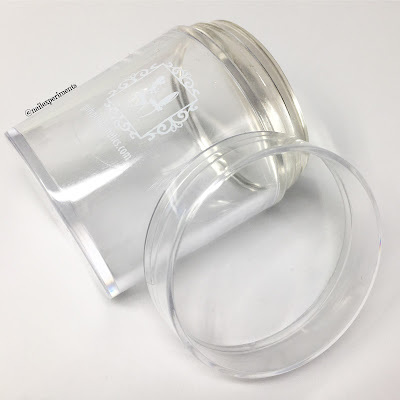 The stamper I used was the Girly Bits - XL Crystal Clear Stamper. The silicone stamping head measures in at 3.8cm and includes a protective cap. It also includes a scraper which I failed to photograph, so refer to the product listing to view the included scraper. I've used this stamper a few times now and I really like it! I'm more accustomed to more squishy stamping heads, as this one is a bit more firm. I've never had any issues with pick up and it worked flawlessly in my first try! 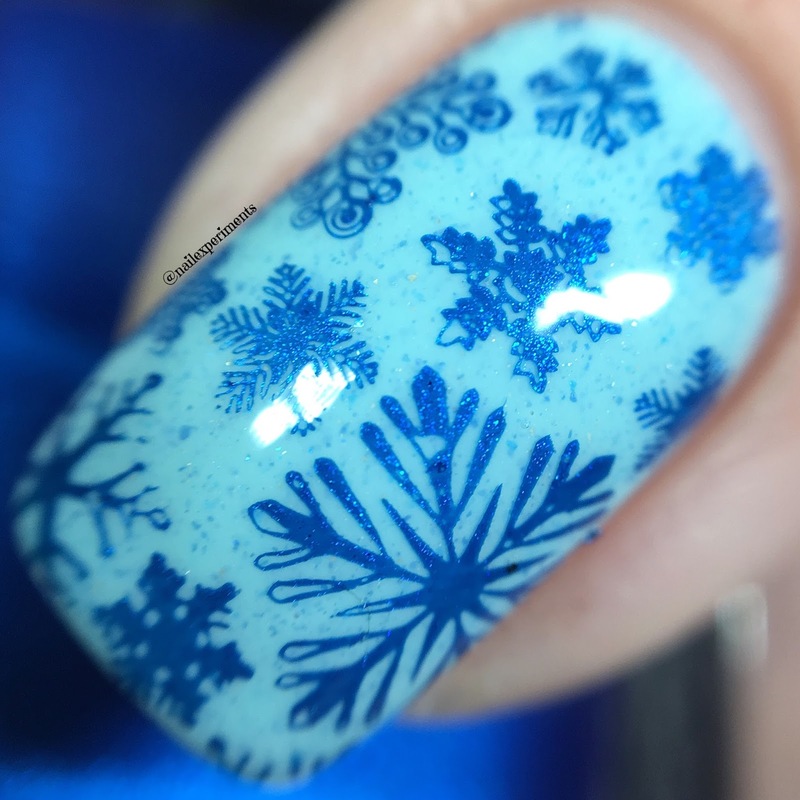 For the snowflakes, I used Lina Nail Art Supplies stamping plate - 4 Seasons Winter 01. To seal in the nail art, I used Girly Bits - Glitter Glaze Quick Dry Top Coat. I shuffle between various top coats for nail art, and Glitter Glaze comes in at one of my top 5 favourites! 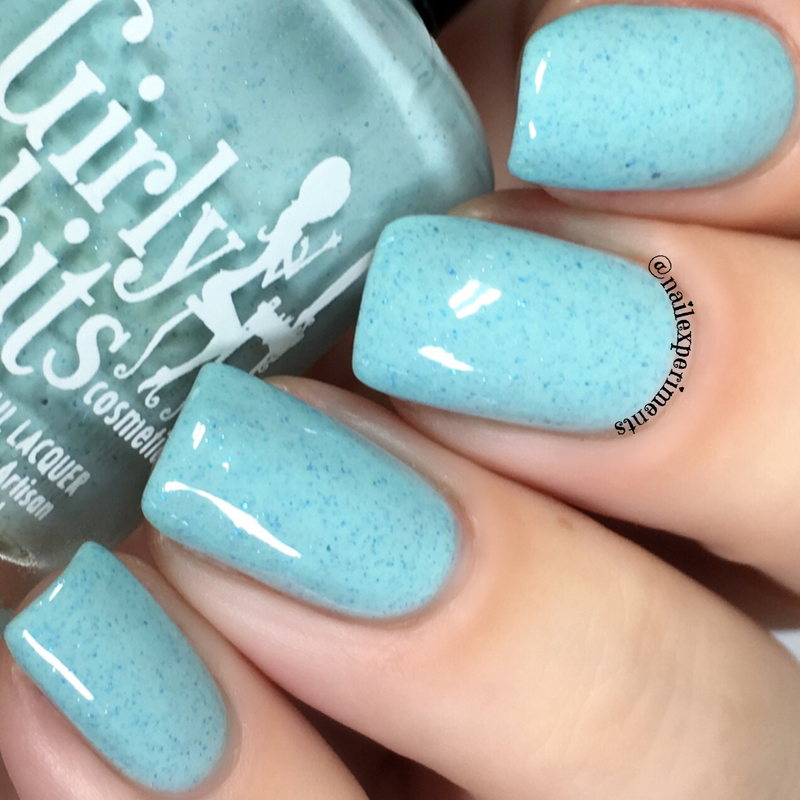 This particular top coat is meant to seal in textured nail polishes such as glitter, but it also works wonderfully for sealing in nail art. I haven't had any issues with it smudging nail art up to date. Tip: I always apply top coat over nail art a little bit thicker. 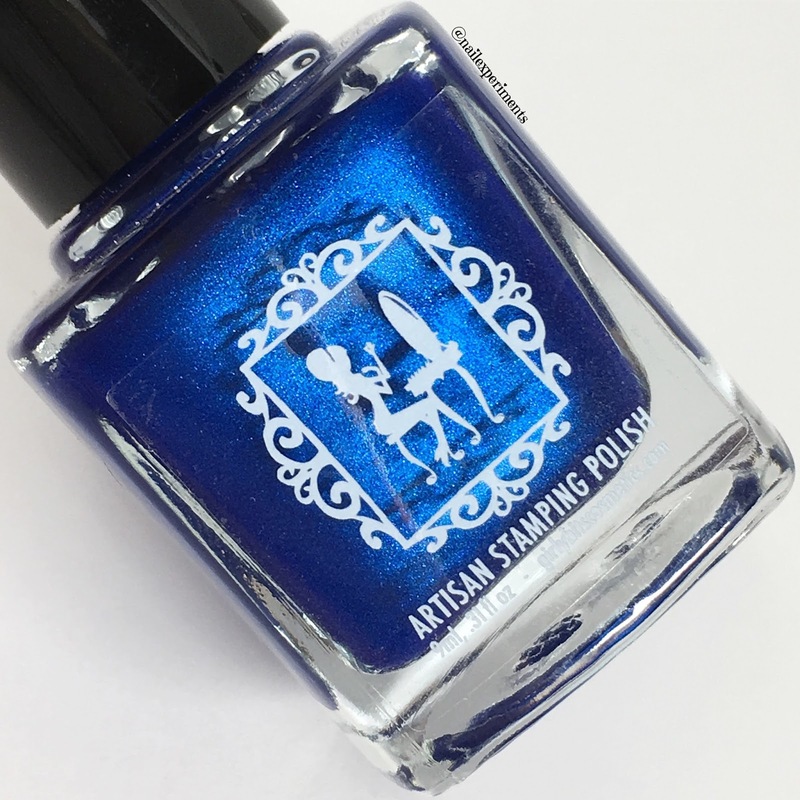 I take a generous bead of top coat on the bristles, and try my best to float the product overtop the nail versus applying it thin and having the bristles drag against the nail/nail art. So there we have it, a winter snowflake themed nail art look using Girly Bits products. Have you tried any of the mentioned products? If so, I would love to hear your thoughts down below!